Tired of 2-wheeled vehicles? 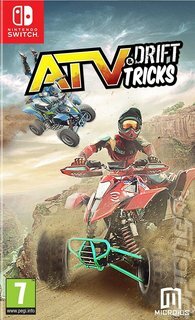 Then ATV Drift &amp; Tricks is the game for you-A quads-only racing game! Take part in a series of races in game modes with extraordinary challenges on varied tracks that you can do over and over again: Deserts, Forests, Mountains, Lakes, Rivers, Oases ... Stunning settings and landscapes will immerse you in the environment. Crazy stunts &amp; drifts to the max: Jump high into the air each time you do a stunt that will drive your opponents crazy! Come back downto the ground and rack up the drifts. Your tyres will pay the price, and so will your opponents!